Pure Savagery | Witness my mental and physical transformation through diet and exercise. Over the week I rewarded myself with an indoor climbing session when I reached my lowest weight in over four years! I hit 165.6lb this week. My goal is 160lb by next month. 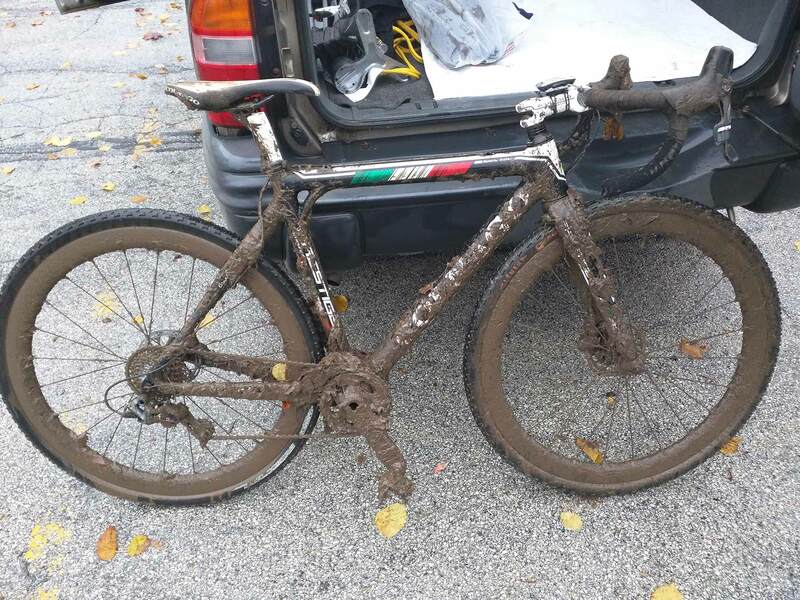 My weight loss motivation is to come in leaner and meaner for the upcoming cyclocross season which kicked off today in Milwaukee. I’ve never climbed before and over the last several years I developed a fear of heights. I wanted to test my new strength from doing crossfit over the year. In all honesty, it took my nearly 2 years to develop the courage to get on the wall. When Vertical Endeavors opened a new location, I volunteered at the grand opening. I’ve asked a couple friends to join me but never got any solid commitment. So this week was now or never. I’ve seen people use the auto belays and thought that was what I was going to do. I picked up the phone to set up an orientation/beginner class on the auto belay. I arrive at the gym and join a small group of climbers. Apparently we were learning how to belay and tie knots. I didn’t think anything of it and thought that this class was part of getting to auto belay. 2 hours later, the class is done and I realized when I asked the instructor when were we going to auto belay that I signed up for the wrong class. I didn’t expect to be responsible with a stranger’s life hanging from a wall 40 feet up in the air on my first day learning to climb! It was all good. Once again I surprised myself by learning a new skill, meeting new people and attacking my fear of heights (I got up past half way up the wall on a 5.8 route). Can wait to go back and planning my next visit. I got my first set back in my Asylum career, I got the allergy bug earlier this week. With stuffy nose, sore throat, water eyes and body aches makes for restless nights. I’ve gone through several over the counter drugs but none seem to get me back to my old self. We’ve had some beautiful summer weather and I get stuck inside laying in bed. I pretty much rested all week and I’m starting to feel better now. 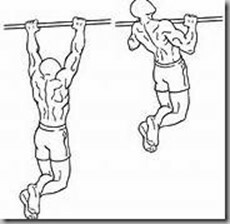 I thought that I might have lost my strength but I was able to do 6 dead hang pull-ups in a row. One better than my previous best. 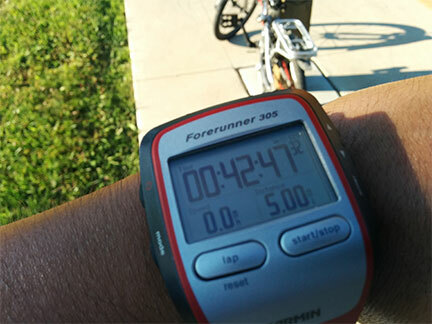 Decided to clear my windpipes and see if I can best last week’s 5 mile run time. Was glad to beat my previous best by over a minute and keep my 5 mile run under 43 minutes. Looks like I’m ready to hit asylum come Monday and get back on track. Yes, that’s my folding bike in the background. I got a feeling that I’m going to be doing my longest run this summer. I started with Ab Shredder first to warm up my body. Amazed at how much I sweat with only working my core. I’m sure yesterday’s 5 mile run had something with me feeling drained today. Noticed lactic acid build up in my legs and did some quad stretches to alleviate the discomfort. I usually look forward to Speed & Agility but today I just couldn’t take off like I wanted to. I got gassed a couple of times during the bear crawls. I had a short 4 mile bike ride that I wanted to stretch to 20 miles but I had too much to do in too little time. I started getting restless and knew I had to get off the bike. My silver lining today was that I was able to knock out 5 pull-ups in a row. Getting stronger by the day. Everyday I try to do some form of exercise that will help me get stronger on the bar. From Australian Pull-Ups, reverse pull-ups, presses and push-ups, got to grease the groove.